Dandelions, Taraxacum officinale, are probably my personal favorite wild harvest plants and you will see me refer to them often through the course of my various articles. With spring around the corner for many of us, now is the time to begin seeking out the reddish tinted leaves of one of nature's most versatile greens. 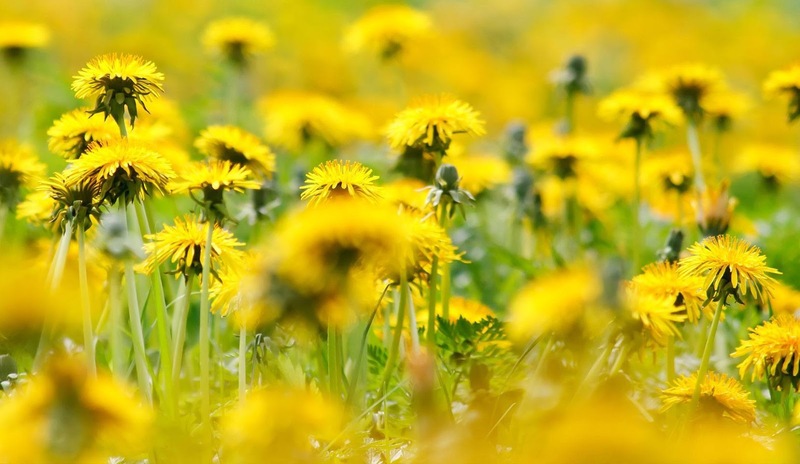 Vitamin packed and widely scattered across North America, dandelions can be found in lawns, gardens or almost anywhere the earth has been disturbed. 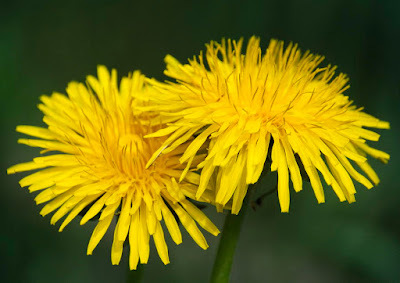 Dandelions where first introduced from Europe as a common herbal remedy and garden plant but quickly escaped and can now be found so easily it is often deemed a nuisance rather than a helpful and healthful herb by more confused individuals. Times are changing though and dandelions are again establishing themselves with the general public as a wonderful herb and versatile green. For greens, always harvest dandelions prior to the bloom stage. The cooler the weather the “cleaner” tasting your greens will be. Collecting in late fall is also recommended as a sudden cold snap always depletes the bitterness associated with dandelion greens. Dandelions provide a 4 part harvest. Early spring provides 3 parts consisting of the leaf, crown and root and later in the season you can collect the blooms for various items such flower fritters and wine. Collecting the roots for a coffee substitute is generally done in the late fall when the plant has stored much of its energy in the roots but I tend to collect the root throughout the year. Anyway, let me lead you back to our spring harvest. Garden centers will sell a specialized tool for “weeding” dandelions from your yard. I love this tool for harvesting since it is designed for dandelions in the first place *(Thank you weed haters you made my job so much easier!). This tool is pointless to anyone wanting to rid their lawn of dandelions because if even an inch of the root remains in the ground the plant will grow back, but it is perfect for harvesting the long. tapered roots of dandelions. Make sure to collect from areas that are pesticide free. If you are interested in organic pest control check out the Dirt Doctor web site for endless information that will assist you in keeping your yard and gardens pest free. 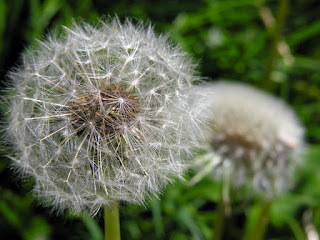 Also, if you are collecting from your own yard remember that dandelions that are never mowed will have the best flavor. When you harvest your dandelions cut the root well below the surface of the soil. Wash these with a garden hose to remove the majority of dirt and sand. Bring your bounty indoors and set your dandelions in a colander with running water flowing over them as you work. I generally set up three bowls, one for greens, one for the crowns and one for the roots. The running water is important and will make your job vastly easier, since the greens and crowns tend to trap little particles of sand. Trim the root off, leaving roughly 1/8 to 1/4 inch attached to the crown to help hold it together. 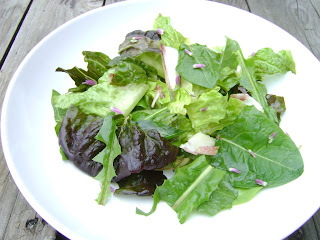 With scissors or a sharp knife cut away the greens from the crown. The crown is basically the immature flower buds and is a culinary delight. If your crowns are huge cut them in half or quarters so that the end result is more uniform in size *(I have found crowns up to 4 inches in diameter from a single root). The roots can be cooked in much the same way you would cook parsnips or other root crops. Boil them, mash them and season with salt, pepper and butter or add them to soups and stews. I prefer to use them as a coffee substitute and roast them in an oven set to 250-300 degrees F until the roots break easily. These I store in a sealed container until I am ready to use them with my coffee. I generally mix them half and half with commercial coffee to retain my daily caffeine dosage but you can use dandelion root alone. Experiment with the amount to find the taste that suits you best. The crowns can be lightly blanched and frozen for later use or bread them fresh and lay on a cookie sheet in the freezer until completely frozen. Place these in a zip-lock bag to be deep fried later in the year. The crowns can be added fresh to salads, make a wonderful soup veggie and are fabulous battered and deep fried. Simply sprinkle herbs and spices such as garlic powder, onion powder, basil and parsley directly on the fresh crowns. Dip them in an egg and milk mixture and roll in flour. Deep fry these in hot oil until golden brown and serve hot. The greens are in themselves probably the most versatile of the various dandelion parts. Use them as you would any green in salads, quiches, lasagna, pesto, soups, stews or casseroles. The greens can be blanched and frozen for later use or dried and added to herb breads and teas. I have also made homemade noodles with minced dandelion greens and they where a big hit here at home. Mix together dandelion greens, bell pepper, garlic, artichokes, sour cream, and parmesan cheese. Season with salt and pepper. Mixture will be thick, add cream to thin to dip consistency. Spoon into a 1 quart baking dish. Wash the dandelion greens to remove any sand. Drain off all the water and coarsely chop. Place in a steamer and cook until tender (10-15 minutes). 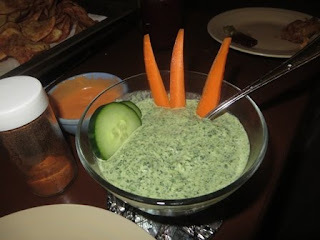 Using a garlic press, crush the garlic into a medium size bowl. Transfer the cooked dandelion greens to the bowl with the garlic and add the olive oil, salt and black pepper.